Let In Edinburgh was created to provide you with comprehensive information about short term lets (business lets, holiday rentals, festival lets, etc.) 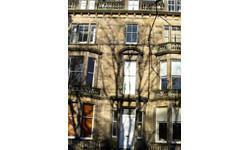 in Edinburgh, offering both a service to the consumer and the property owner/agent. You can easily search Let In Edinburgh's fast growing database of properties for accommodation that matches your exact requirements. Then simply contact the property owner/agent direct and cut out the middle man. Holiday cottages in Edinburgh can be quite difficult to find - as like most big City’s, Edinburgh has lots of flats and apartments but a lack of space for cottages. However if you want all the excitement, fun and culture that Edinburgh has to offer, but its a cottage that you want, you can still have it through Let In Edinburgh.